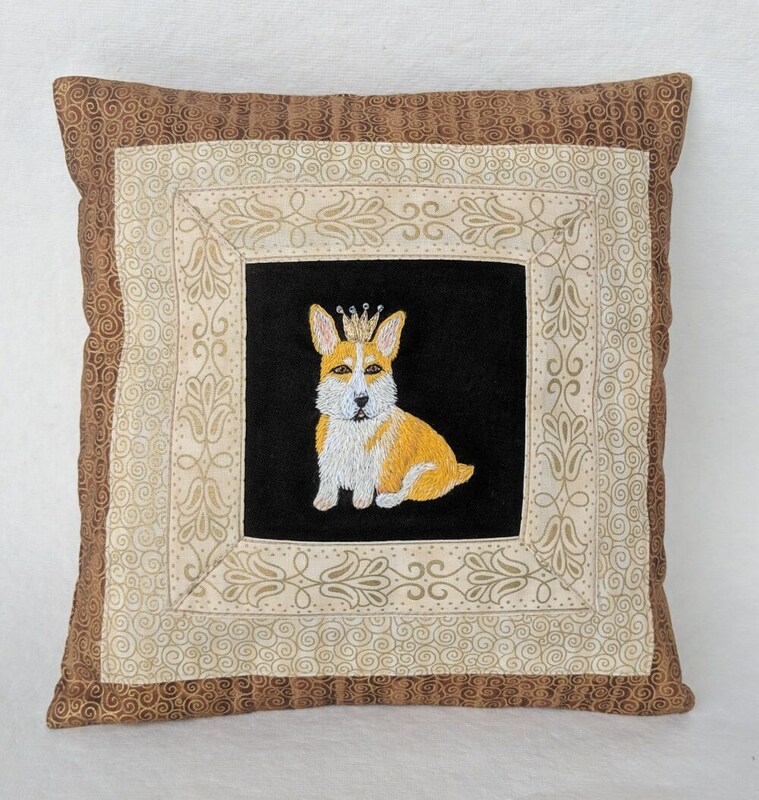 Corgi with crown Pillow. 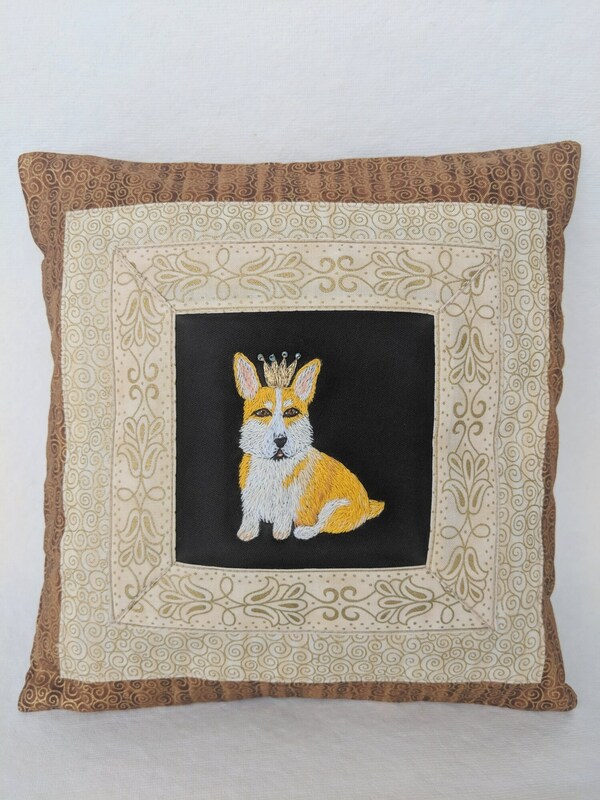 Decorative cushion with hand embroidered dog. 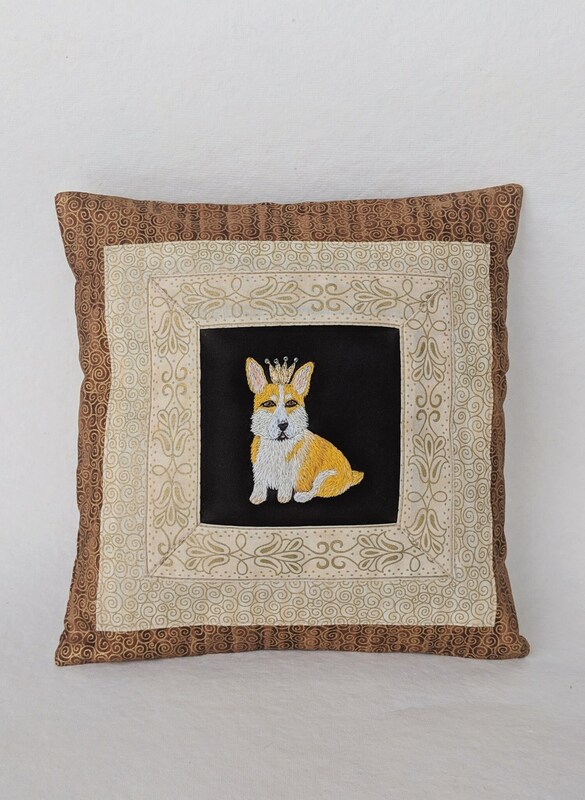 Majestic Corgi gift. 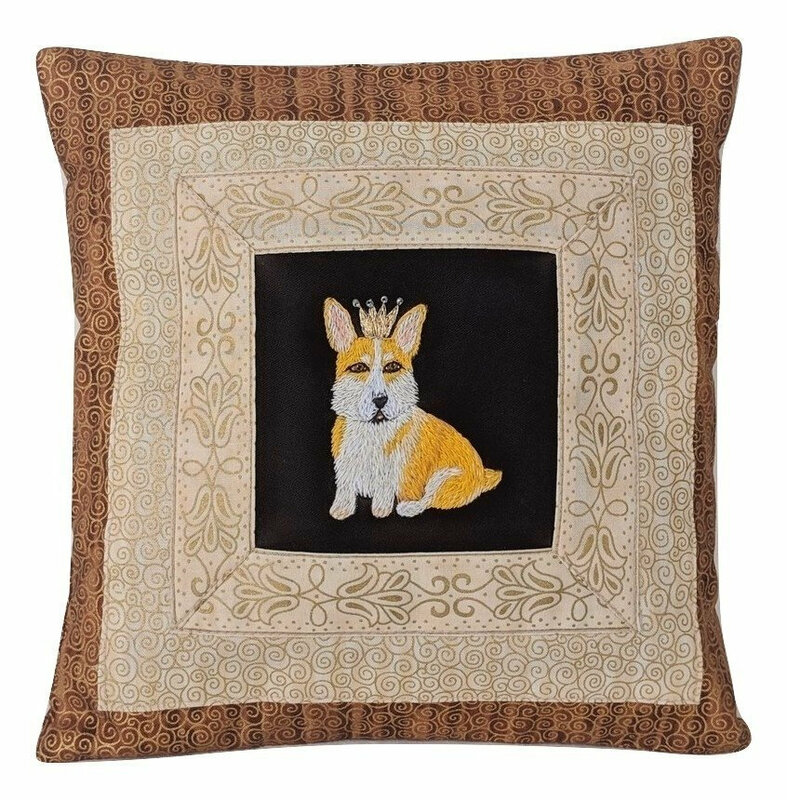 Pillow with Corgi cover. 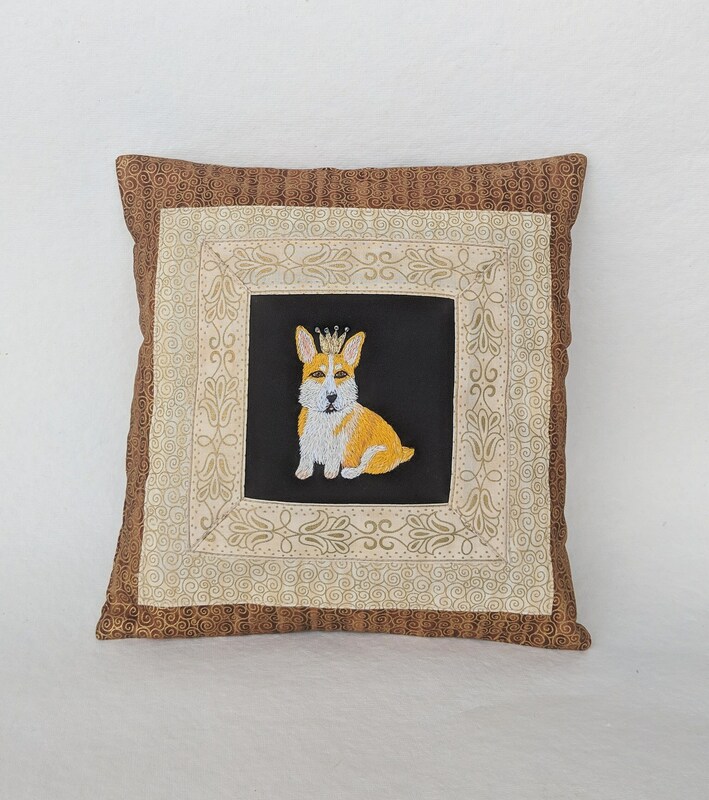 Unique Corgi gift. 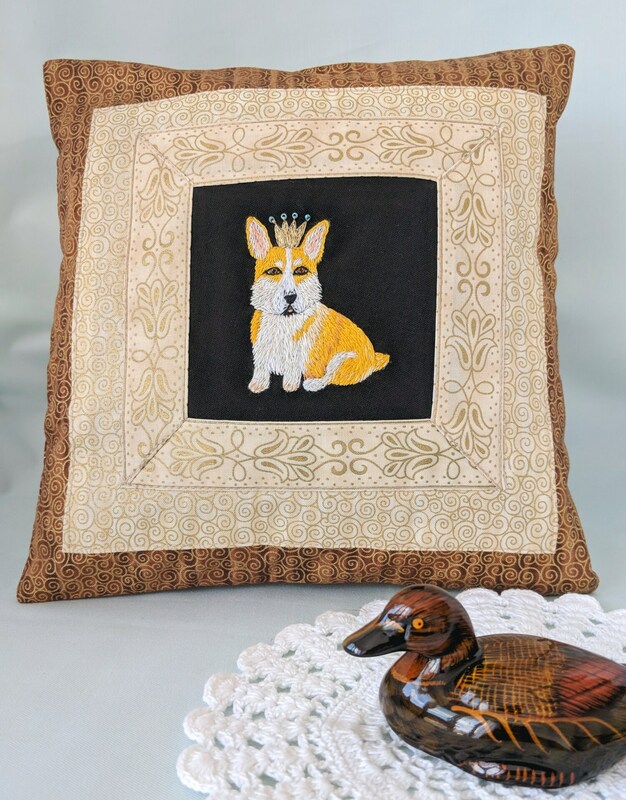 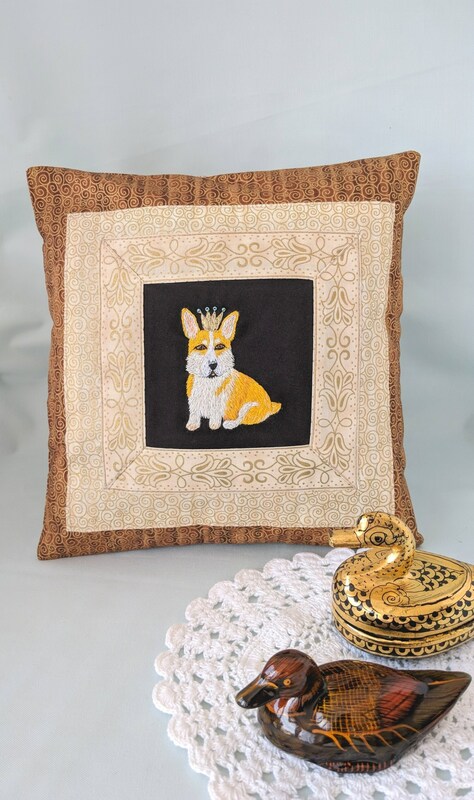 Wonderful quilted decorative pillow with hand embroidered majestic Corgi with crown - perfect gift for Christmas! 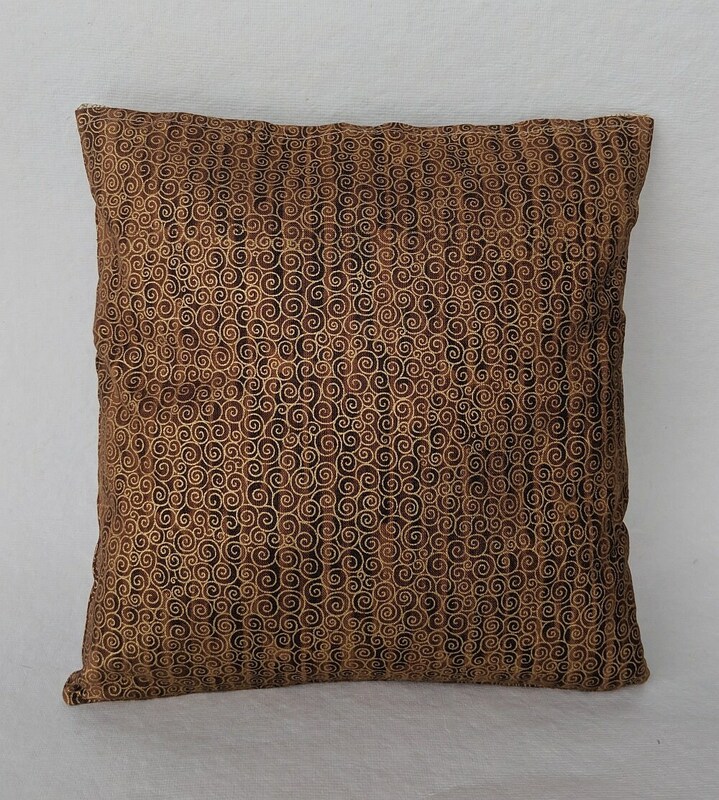 The pillow case with snap buttons. 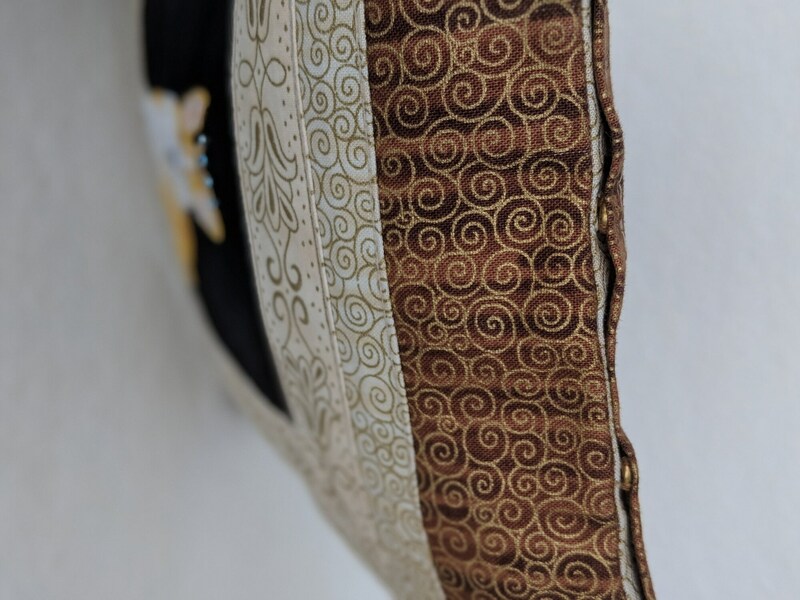 Delicate hand wash inside out only!